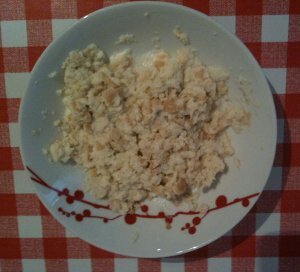 Start with the preparation of the filling: crumble the bread roll in pieces, soak it in milk. 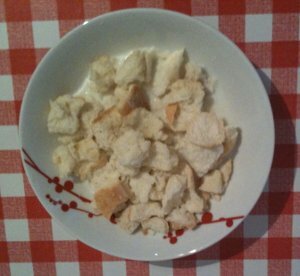 Remove the excess of milk squeezing the bread and put in a large bowl. 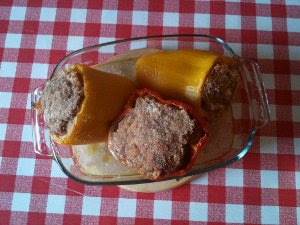 Remove the peel of the sausage. 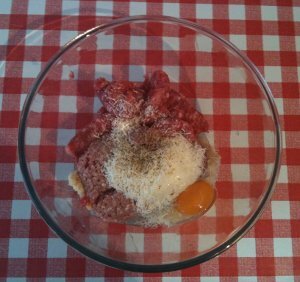 Add to the bread the minced pork meat, the sausage, the egg and the Parmesan. Sprinkler with black pepper and salt (not too much because the sausage is usually a little bit salted). 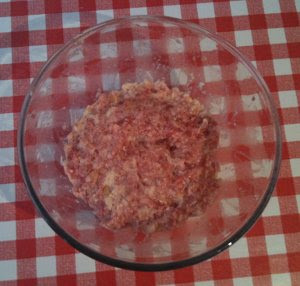 Mix everything together and adjust with salt according to your taste. 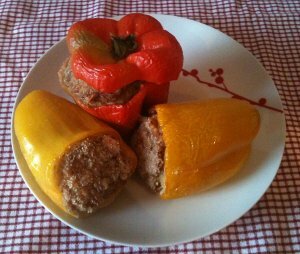 Preparer the peppers: you can use yellow, red, green peppers, the ones you prefer more. 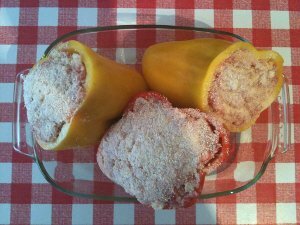 Wash them, cut the top of the peppers and clean the inside part of them. 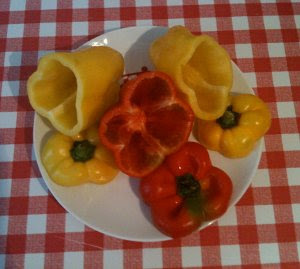 Remove the seeds and the white part of the peppers paying attention not to break them. 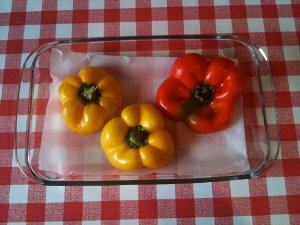 Sprinkle the peppers with a bit of salt. 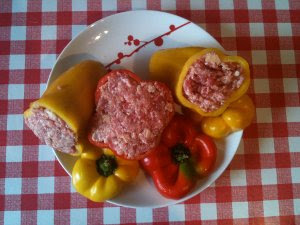 When the peppers are ready fill them with the mixture of meat. Place the extra virgin olive oil with some water in a baking pan, put them in the baking pan in a vertical position, sprinle them with a little bit of breadcrumbs in order to have a crunchy surface and bake for almost one hour at 180 degree. Cover with a sheet of baking paper the bottom of another baking pan and place on it the top of the peppers. serve them warm with the top on them.